Find Relief From Debt | Law Office of Robert W. Kovacs, Jr. The Law Office of Robert W. Kovacs, Jr. is here to help you. Bankruptcy may be the best option for you if you find yourself with overwhelming debt and no way of being able to repay it. Our caring attorney can help you get a new start on your life. The law provides individuals struggling with overwhelming debt an opportunity to have their debt discharged and get a fresh start in their financial life. There are several types of bankruptcy filings, one of which may be the right one for you. With the help of an experienced Worcester Bankruptcy Law Attorney, you will be able to confront your financial situation and move forward with your life. Contact the Law Office of Robert W. Kovacs, Jr. to review your bankruptcy options and how to find financial relief from your debts. We know facing bankruptcy is a difficult decision. However, the consequences of not handling your finances can be much worse. Once the correct legal procedure is determined for you, you will discover that it will eventually turn your situation around and allow you to begin to rebuild your financial stability. 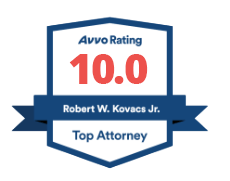 Many bankruptcy attorneys in Worcester, MA such as Robert Kovacs, understand that every case is unique. As you can see, whatever your situation is, there is a legal option to assist you. The bankruptcy lawyer from the Law Office of Robert W. Kovacs, Jr. would like the opportunity to meet with you and discuss your situation and prevent you from making common bankruptcy mistakes. Once we carefully review your financial situation we will be able to properly advise you regarding the type of bankruptcy filing you may be eligible for. Contact a Worcester Bankruptcy Law Attorney from the Law Office of Robert W. Kovacs, Jr. to assist you with bankruptcy filing and debt collection.